A pet suffering from dermatology problems is likely to have distressful symptoms like a skin rash or irritation of the skin. It is best to contact Stanton Pet Hospital in Stanton to make an appointment with our veterinarian if your pet is dealing with any type of skin problem so proper treatment is administered. Here are some common skin problems that pets deal with that require intervention so symptoms subside effectively. A skin rash can be itchy and painful for a pet. They are often the result of an allergic reaction or from an injury to the skin that does not heal properly. In more severe cases, a rash could become infected. Rashes are usually red or pink, but they could also be opaque with raised bumps. It is important to seek treatment so proper medication is prescribed and lifestyle changes are put into play so the rash diminishes. A pet that has fur missing from its body may be suffering from a dermatology problem. Missing fur could also be the result of an anxiety problem. 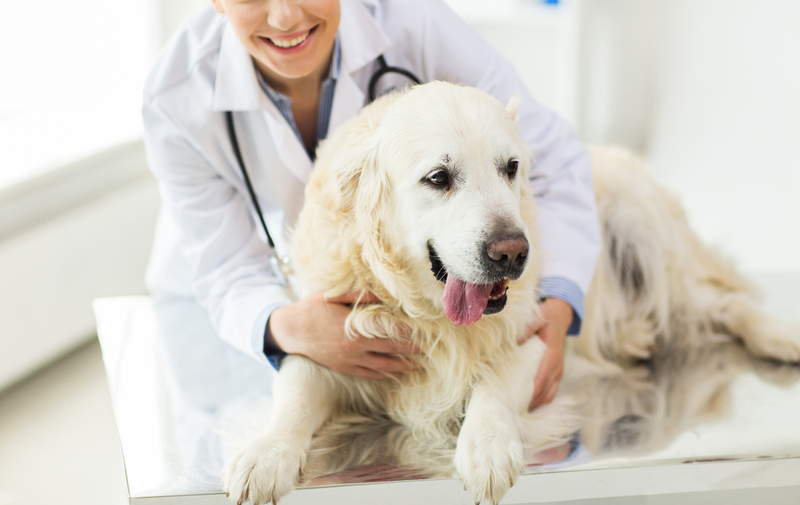 Each of these conditions requires treatment from our veterinarian. If you use medication on a pet that does not have a skin problem, unnecessary side effects may result. Take a look at the skin where fur is not present to see if there are signs of a rash, dryness, or parasites. A pet with fleas is likely to suffer from skin problems. Fleas are known to bite at the skin, leaving behind welts. These could be quite itchy and painful for the host, and they could become infected if your pet continues to bite or scratch at the skin in an attempt to relieve discomfort. The flea problem will first need to be eliminated with help from topical treatments. After fleas are eradicated, the skin may heal on its own. If not, medication for skin problems will be prescribed by our vet. A pet with dry skin will likely suffer from itchiness. They may scratch at dry portions of skin to stop itching, leading to scratches and scrapes. These could become infected if they are not treated. It is best to avoid bathing your pet often if it suffers from dry skin as the process will deplete the skin of oils needed to keep it moisturized. Special shampoo made especially for dry skin can be used to help keep the skin hydrated. If your pet is suffering from skin irritation of any kind, contact Stanton Pet Hospital to make an appointment for an examination. Call our practice today at (714) 828-5891 to discuss dermatology issues with our vet or to inquire about our scheduling availability today.